Defending champion Miguel Rodriguez – who last year became the first South American ever to win the tournament – will return alongside runner-up and two-time winner Mohamed ElShorbagy. Rodriguez and ElShorbagy are the only players in the men’s draw to have ever won the tournament, and will face stiff competition from World Championship runner-up Tarek Momen, Germany’s Simon Rösner, New Zealand’s Paul Coll, former World No.1 Karim Abdel Gawad and World No.8 Mohamed Abouelghar. Raneem El Welily fell in last year’s final to World No.2 Nour El Sherbini and the two are seeded to meet in the final once again. World Championship runner-up Nour El Tayeb, 2015 champion Camille Serme, New Zealand’s Joelle King, England No.1 Sarah-Jane Perry, Egypt’s Nouran Gohar and 2017 winner Laura Massaro make up the rest of the top eight seeds. The British Open also represents the penultimate chance for players to win points for the PSA World Tour Finals. 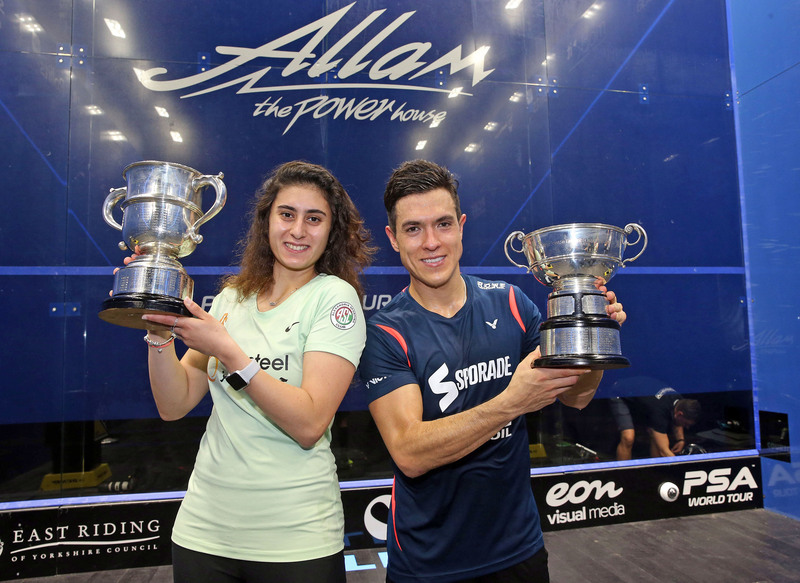 Ali Farag, Mohamed ElShorbagy, Karim Abdel Gawad, Raneem El Welily, Nour El Sherbini and Joelle King have already qualified for the season-ending jamboree, while the other competitors will qualify if they claim a top eight spot on the PSA World Tour Finals leaderboard. 2019 Allam British Open, Hull, England, May 20-26.